If you haven’t given your grasses their annual haircut, now’s the time before their new growth is well on its way upward. I don’t know about you, but I have struggled with this task in my quest for a quick and convenient way to tackle this annual chore. My trusty Felco hand pruners thrash about in the grass blades trying to cut through, but they are better equipped to slice through twigs and small branches than skinny dead grass blades. 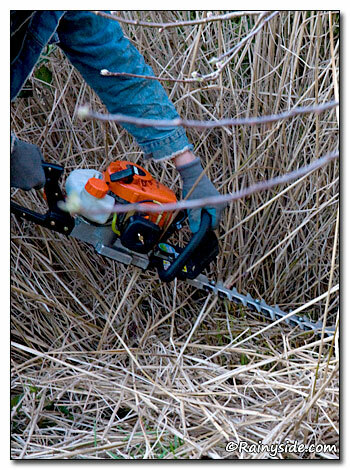 Grass shears are better; however, it still takes a while to cut through the blades of grass on a large, established clump, and it also takes many carpal-tunnel-syndrome movements with the wrists before the grass comes down. 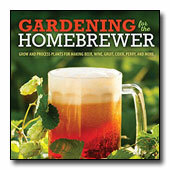 This is ok if you only have a few ornamental grasses; but if you have many large clumps, the gas-powered hedge trimmer may be the answer to turning a grueling chore into short work. Along comes my good friend Philip Bloomquist, who is a professional gardener and owner of Kitsap Peninsula's Bloomquist Garden Services. 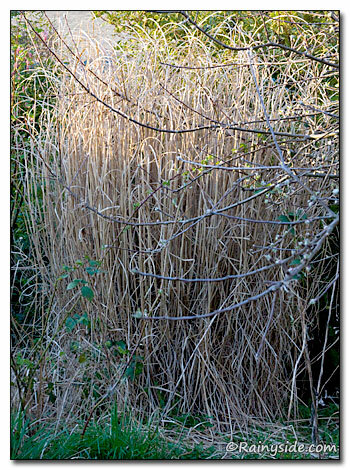 He showed me how to make quick work of the annual chore of bringing down the tan, dead stalks of my Miscanthus before the new blades shoot out of the ground. 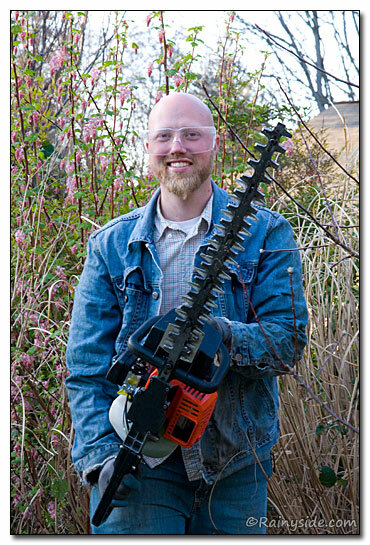 Phil's tool of choice is an Echo gas-powered hedge trimmer. After putting on protective eyewear, he started the trimmer and in minutes, the grass was down on the ground. Even though I didn’t find the trimmer to be that loud, like many other power tools, Philip recommended wearing earplugs. Bloomquist gave a dramatic demonstration on how easy the right tool can make short work of a chore. However, I think hiring someone to do the chore is even better! I quickly loaded the dried grass blades into the wheelbarrow to haul to the compost pile. Mission accomplished.